UNITED NATIONS, Jul 6 2012 (IPS) - When South Korea, one of Asia’s rising economic powerhouses, decided to host the international exhibition Expo 2012 in the coastal town of Yeosu, it picked a theme high on the agenda of the just-concluded Rio+20 summit on sustainable development: the living ocean. The entire focus of Expo 2012, which completes its three month run Aug. 21, is on the protection of the world’s maritime resources, including overfishing, chemical pollution and warming oceans. And by accident or by design, the protection of the world’s oceans was one of the few key success stories to come out of the Rio+20 summit in its final plan of action titled “The Future We Want” adopted by world leaders last month. Nathalie Rey, political advisor on oceans at Greenpeace International, told IPS one of the few concrete things on the table at Rio that went beyond business-as-usual was an agreement to launch an “Oceans Rescue Plan” to protect the high seas. “Despite the alarm bells ringing by scientists on the need to protect the oceans, Rio pressed the snooze button on agreeing to initiate a new agreement under the United Nations that would protect high seas marine life,” she said. However, the overwhelming support from the majority of countries – including Brazil (the host country), South Africa, Argentina, the Pacific Islands and members of the European Union (EU) – to give the green light for action was not enough to throw off the opposition from a handful of countries, she added. With the United States leading the charge, and closely backed by Canada, Russia, Japan and Venezuela, these countries successfully blocked progress, Rey told IPS. Instead of launching the agreement in Rio, governments postponed a decision for another two and a half years, booting the issue back to the U.N. General Assembly. “Every day that we delay an oceans rescue plan, we bring our oceans ever closer to tipping points, jeopardising the health of the oceans and the future of the millions of people that depend on them for food and jobs,” Rey said. Those countries that stood in the way of progress at Rio must stop defending short-term economic interests and join the rest of the world in supporting high seas protection to benefit future generations, Rey added. At the Expo 2012 U.N. Pavilion in Yeosu, about 20 U.N. agencies and international organisations are showcasing their collective work in helping to protect the world’s oceans and maritime resources. Under the theme “Oceans and Coasts: Connecting Our Lives, Ensuring Our Future”, the United Nations is highlighting the various contributions made by marine life to humans, including biodiversity, food security and renewable energy. “What we know is that oceans are fragile and that there are many signs that marine ecosystems are experiencing unprecedented environmental change driven by human activities and climate change,” warns the United Nations. A visit to the U.N. Pavilion ends up at a virtual “Pledge Wall” where visitors make a commitment to protect the world’s oceans and coasts. Meanwhile, in a statement issued at the end of the three-day summit in Rio Jun. 22, members of the High Seas Alliance (HSA) said the ocean received “an unprecedented level of attention during the Rio+20 Conference becoming one of the most high visibility issues and the last piece of text to be resolved”. In contrast to the 1992 Earth Summit in Rio, attention on the ocean was significant and led to protracted and heated debate within the negotiations. “Some of the ocean outcomes were positive, while others fell a long way short of what marine scientists and campaigners had hoped and worked for, it was, nonetheless, a breakthrough year for the cause of conservation of 70 percent of our planet,” HSA said. If it catalyses actual change, along with implementation of and compliance with the measures already promised, she said, then it will have achieved something. 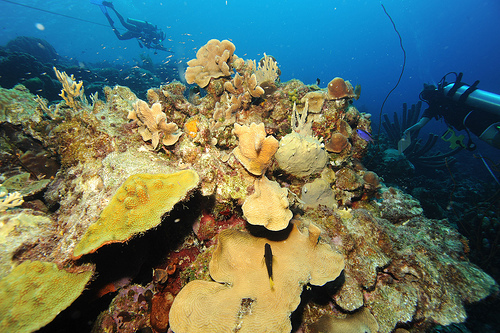 Fulfillment of the U.N. resolution to end deep sea bottom fishing; an end to overfishing, including the suspension of fishing in some cases until stocks have recovered; requirement that regional fisheries management bodies be accountable to the United Nations; national action to eliminate harmful fisheries subsidies; closure of ports to illegally obtained fish; and the establishment of national and high seas marine protected areas, including reserves. “We have to use Rio+20 to draw a line under the talking and start the doing. These decisions are all urgent, important and game changing measures which should be immediately implemented by governments as a direct response to the oceans text,” he added.